Clearwater Forest Resort Community is a private resort community nestled on 50 acres located on the NW side of Clearwater Lake. 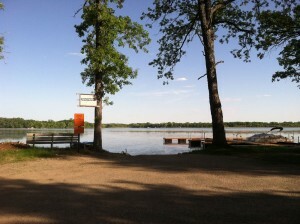 Managed by PLJ Inc., Clearwater Forest is proud to offer some of the best camping and community living in Minnesota. Just over an hours’ drive from the Twin Cities, Clearwater Forest offers 89 seasonal campsites and 81 manufactured home sites with private lake access, private marina, and dock rental slips. With over 3,100 acres of Clearwater Lake available, the walleye, northern, bass, crappie, sunfish, and perch are just a lure’s cast away. With our on-site fish cleaning facility, private showers, laundry room, vending room, outdoor heated pool, playground, and organized kid’s activities, the amenities will keep the whole family having fun. Restaurants, off-sale, pull-tabs, 18 hole golf course, flea market, ski hill, and bait shop are only a few minutes away so bring the family and we bet you end up stayin’ a while.